EUM-Newgen offers a broad, cross-industry portfolio of solutions to meet specific industry and functional requirements. Our vertical solutions are built on our proven BPM, ECM, CCM and Case Management Technologies. Enable a faster on-boarding process with streamlined information gathering, approvals and customer communications. Leverage modern digital tools such as mobile and social that and go the extra mile when it comes to enhancing customer satisfaction and engagement. Faster on-boarding translates into augmented business volumes. Do more with less and also save up on overheads to drive greater profitability. The Foreign Account Tax Compliance Act (FATCA) was enacted by the United States government in 2010, as part of the Hiring Incentives to Restore Employment Act (HIRE). The Act is aimed at helping the US government combat off-shore non-compliance. The Act comes into effect from July 1, 2014. Compliance to FATCA is complex. Financial Institutions will need to make substantial changes in processes such as client on-boarding, documentation, reporting and withholding. The act is intricate and evolving continuously. This greatly impacts an organizations readiness to tackle it. Compliance to FATCA needs a distinctive approach. A simple change of processes or leveraging new IT infrastructure may not suffice as a successful compliance strategy. Newgen helps organization’s gain FATCA compliance through a thought leadership approach. It provides Financial Institutions with robust FATCA compliance software and also help them create step by step approach for a comprehensive compliance strategy. Newgen FATCA initiatives are spearheaded by its FATCA Centre of Excellence (FATCA CoE), which operates under its Banking and Compliance Center of Excellence. Newgen offers integrated FATCA compliance software for Foreign Financial Institutions (FFIs), US Financial Institutions (USFIs) and concerned government agencies such as tax authorities. The applications leverage Newgen’s two decades of domain expertise in Banking and Compliance along with its market leading BPM, Case Management, ECM and CCM applications. Newgen’s FATCA Compliance Software make astute use of Newgen’s Case Management capabilities alongside leveraging its business transformation platforms. Negotiating the finer aspects of the act such as handling recalcitrant account holders and also maintain scenario by scenario compliance adherence. Newgen understands that compliance to the act will need constant mentoring and knowledge up-gradation with respect to the evolving tenets of the act. The Newgen FATCA CoE for this purpose constantly keeps a tab on the tenets of the act and provides astute pre and post implementation consultations on how clients can stay ahead of the game. Loan request submission from multiple channels leading to increased business value. Rule Management System to automate complete credit policy. Integration with External Credit Bureaus support for effectual decision making. Drive faster approval cycles and provide the freedom to roll out better services,improving earnings. Design a unified mortgage lending process for faster data verification, reviews and better exception handling. Respond to regulatory changes with effectiveness and alacrity with the Newgen Mortgage Software. Improve business volumes through swift application aggregation, verification and approvals. Create transparent and audit friendly credit card processing with a rules driven system. Enhance change management to respond to new opportunities and create innovative offerings for customers. Design trade finance processes which are agile, accurate and help maximizing profits by bringing down transaction times and costs. Create paramount security for a smart trade finance solution. Create better operational efficiency by reducing the need for specialized human resources across functions. Roll out new products and leveraging Newgen’s BPM and Case Management capabilities. Drive smarter customer services, delivering customized and relevant information to improve customer experience. Apply the right regulations with rules driven processes and ensure robust and compliant KYC due diligence. Empower field agents with advanced tools to capture, exchange and process information on the fly. Provide enhanced customer services and real-time, personalized communications to increase delighted customers. Reduce cycle times and cut down the operational costs to create more productive and swifter processes. Replace legacy systems with advanced e-payment system to attain speed and accuracy. Significantly reduce cycle times to enable faster processing and unmatched customer services. Establish swift verification process, robust payment status monitoring and quick inter branch reconciliations. Newgen with its tailored solutions for Government Enterprises enables agile, responsive and futuristic governance. Astounding ROIs and operational benefits. Excellent ability to integrate with existing IT infrastructure. Become a Leader with Newgen Payer Management, Provider Contracting and Mobile Medicare Enrollment Solutions. Drive home a sustainable competitive advantage through enhanced Care Delivery services, improved productivity and low Total Cost of Ownership. Foster transactional efficiencies with members & providers through robust business process frameworks and smart service delivery models. Maintain high degree of process governance and quick operational turnarounds to stay compliant and avoid financial penalties. Solutions to enhance your business volumes, customer satisfaction, improve underwriting and compliance adherence. Deliver value driven services to enhance customer loyalty and retention. Accelerate business volumes with contextual up-selling and cross-selling opportunities. Enable a robust KYC process along with smart opportunity monitoring to prevent fraudulent claims. Drive superior customer services and deliver processes which are agile and adaptable to the changing dynamics of telecom industry. Newgen leverages its expertise and experience in providing BPM solutions for customer centric processes such as CAF Management, which offers numerous features and benefits. Newgen offers its Records Management Solution to Telecom companies in order to manage the complete lifecycle of physical and electronic call detail records. Transform transaction documents into marketing opportunities with Newgen’s solution for electronic statements. Drive superior customer services and deliver processes that are adaptable to the changing dynamics of the global telecom industry. Efficiently manage work load and track resource performance across process life cycle to maximize their productivity. Highly agile solution framework allows BPO organizations to create efficient processes spanning multiple industries and geographies. Automate core elements of processes and gain complete visibility to remove any bottlenecks and enhance performance. Modernize operations to move away from paper and manpower intensive processes. Empower rules driven allocation of cases depending on different parameters including skill set, bandwidth and investigation outcomes. Have a track on client billable hours and ensure streamlined and on-time invoice generation to ensure optimized revenue flow. Newgen’s On-Screen Marking and student records management solution for Education Centers. Comprehensively evaluate physical examination answer scripts by automating their marking and scoring. Enable an accurate, simple, secure and efficient process by ensuring authentication based assessments, comments, annotations and reviews. Effectively bring down the cost of assessments with the help of automation and also bring down costs associate with physical management of documents. Engender intelligent business and optimized business solutions built on Newgen’s Enterprise Platforms hosted on AWS Cloud. Manage your profitability by taking charge of cash flow. On-board your customers faster and with ease with best-in-class KYC automation. Smarter, better and faster Loan Processing. Drive a linear and hassle free Vendor registration process. Newgen Solution for Pharmaceutical Enterprises helps you leverage and unleash global best practices in manufacturing. Meet the complex requirements of ‘The Goods Manufacturing Practices’ and safeguard your enterprise from compliance lapses. Smart tools for document management and approval workflows, improve enterprise wide information management and collaboration. Prevent running into legal issues which can otherwise lead to heavy fines, impacting your overall profitability. Anytime-anywhere access rights-based access to relevant information helped in better and faster decision-making. Greater accuracy while producing legal documents like Sanction Order, Bond etc. The Commercial & Institutional Lending solution is built on a business process management framework to enable credit origination, approval and monitoring in a paperless and electronically driven workflow environment. Commercial Real Estate loans are easier channels of financing and popular with borrowers, the methodology and processes associated with loan origination for CRE are far from easy. Therefore financial institutions seek solutions with the most adaptable architecture, one which can be configured for today and has the ability to adapt in the future. In such a scenario, solution accelerators built on a Business Process Management (BPM) platform can serve the purpose. The Small Business Lending Solution covers the complete life cycle of small business loans right from submission, qualification, and approval to funding and monitoring in a workflow driven paperless environment. The service is delivered on premise well as on cloud. Cloud deployment of the SBA LOS solution ensures faster deployment, lower infrastructural cost and faster ROI as well. As part of the complete loan origination solutions, Banks are looking at a solution which covers the entire gamut of lending solutions including Retail Loans, Commercial Loans, CRE and SBL. Small Business Loans are critical for the strengthening of the economy and employment opportunities. It is equally important for banks not only from a compliance perspective but also to maintain their portfolio of Low Risk Loans backed by government securities. ICICI bank decided to implement Newgen’s Mobile Capture solution – ZapIn to raise the standard of customer services, improve their business processes, drive business agility and achieve cost effectiveness across operations. ZapIn is a technology that allows the business executive to capture physical application forms and initiate its processing in real time at the point of contact. It helps the business executive on-the-move, to capture customer information while he is face-to-face with the customer and instantly initiate its processing at the back-office. Field level validations prevent initiation of account opening applications with wrong data. The global financial landscape has seen a transition from paper based modes of payment to faster & more reliable electronic payment systems. A critical market differentiator is the speed with which banks can process payments effectively and efficiently in all forms. In doing so, they become vulnerable to frauds, as well as operational errors that could adversely affect their performance. Connect with citizens in the remotest of areas and allow citizens to access various Government services, information and programs from their mobile devices. Individuals and organizations can leverage this solution to make payments of taxes, register for services, track status of their applications, and submit information. Reduce operational cost by enabling the government to reach-out to a larger population with less expenditure on IT infrastructure, physical documents, and larger resource deployment. Newgen’s Solution helps develop, deploy and manage highly configurable hybrid mobile applications at lower costs. Allow for real-time information access and online data submission which reduces time and effort of officials spent on data-entry and other related activities. Users can also track approvals and ensure adherence to timelines. Newgen Social RMS enables organizations to not only monitor social media pages (Facebook, Twitter, and LinkedIn etc.) but also enable viewing and replying to social messages. The solution auto-classifies posts and securily archives as per regulatory policies. The solution also allows viewing and searching social media conversation threads. Reach citizens through their medium of choice. Integrate Social Media with your current systems and allow citizens to post complaints, queries and suggestions. Develop a strong connect between governing body and citizens by enhancing collaboration through social media. Become citizen centric by sharing information, initiating discussions, creating awareness, and receiving citizen feedback on various government policies and services. Collect data and insights from various social channels which can be compiled and analyzed to give directional insights. By implementing this solution the governments can easily initiate call-to-action for various launches & programs. Manage and archive communication threads across multiple social media channels with social records management system and auto-classify archived content into a defined file plan. It results in reduced space requirement, as the physical customer documents need not be stored at the front office and a manifold increase in productivity of Customer Care Personnel. The solution can be easily integrated with the Customer Care Intranet environment and business workflows, which aids in day-to-day decision making. The Online Search and Retrieval facility makes it indispensable for Customer Care use. Newgen’s Record Manager based on its robust Document Management platform is a powerful tool for acquisition/creation to destruction/archival while retaining the integrity, authenticity and accessibility of the call records. It offers complete flexibility to configure the system as per preferences, policy guidelines, specific regional laws and applicable compliance mandates. Dynamic statements with highly customized and personalized marketing messages enhance customer communication and offer excellent up-selling and cross-selling opportunities. Newgen helps banks in targeting the right offer to the right customer on the basis of analysis of transactions by making the best use of monthly statements as an interactive communication tool. Newgen’s solution facilitates faster time to market by enabling quick configuration of business defined marketing messages possible for specific target groups, without IT dependency. The solution provides a single statement template for multiple distribution channels and allows easy change management by incorporating version control mechanism. Other benefits that accrue with deploying Newgen’s solution for electronic statements are cost optimization and better control on wastages, loyalty generation and brand building, consolidation of overlapping technologies, reduced dependency on IT experts for performing minor changes, regulatory compliance and better up-selling and cross-selling. iGATE was using different ERP applications at different locations, the primary requirement was to integrate all the ERPs with workflow. However, weaving multiple ERPs across multiple locations in a single Accounts Payable process posed huge integration complexities. Single point data extraction from OmniFlow to the reporting/datawarehouse application. This organization has nearly 2500 employees that consist of both research and non-research staff. The organization has a comprehensive library that houses a perpetually growing collection of books, journals, periodicals, research papers and magazines. The Library was setup to allow access of these documents to employees. The prevailing system was proving to be inefficient and cumbersome considering the challenge of maintaining and managing large volumes of research work and various types of study and reference material. Another problem faced by the library was making documents and reference material available to employee’s on-time and at all times. This became a bigger predicament when multiple employees required the same study or reference material. Newgen solutions on Amazon Web Services Cloud leverage OmniDocs Enterprise Content Management to automate enterprise processes across verticals and industries. These solutions are ideal for organizations wanting to rapidly streamline and scale-up transactions with minimalistic spends on IT infrastructure. OmniDocs ECM has a scalable architecture and an ingrained workflow; ‘OmniProcess’ that lets organizations create workflows for document intensive processes. 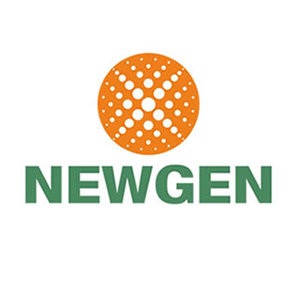 Newgen rolls out the implementation of these solutions through its global partner eco-system. Accounts Payable process in most organizations is driven manually. Newgen automates and streamlines the entire Accounts Payable process, ensuring timely payments and reduced cycle times. Invoices are received physically at multiple locations and are digitized leveraging OmniScan, Newgen enterprise grade scanning and information capture application. Invoices which are tied to specific Purchase Orders (PO) are automatically routed to Finance department for processing and those which cannot be tied to a PO are sent to responsible department heads for approval. Once invoices reach the Finance Department, the department users have the right to clear the payment or park the invoice for payment at a later date. Business conditions such as Credit Period, Payment Cycle, and Cash Discount etc will dictate when the payment ultimately released. These processes are completely automated. Users across geographical locations can be provided rights based access and the ability to make annotations against these invoices. Audit Trails are made available to check activities performed at each level of an invoice processing and clearance. Accounts Opening is a major money spinner for most banks. Banks are turning to automated and streamlined KYC processes for faster Account Opening. This enables them to create greater churn and thereby higher volume of business and improved profitability. KYC applications from multiple branches are scanned using OmniScan and then sent to a centralized location for verification and approval. The documents are received by a verification personal at the central location through the web based interface of OmniDocs ECM Suite. As a simultaneous action this personal will make an entry in the Core Banking System and create a Transaction ID. The verification personal will validate the information provided in KYC forms along with attached documents. He may at this stage raise an exception in case of inconsistencies in the documentation or forward it to an ‘Authorizing Officer’ for approval. In case an exception is raised the documentation set is automatically routed back to the branch it originated for and further checks are initiated. Once the exceptions are dealt with, the documents are sent back to the centralized location for approval. The process can be extended to further include multiple maker checker approval scenarios. Loan processes are extremely document intensive. Banks and Financial Institutions often experience latency in their transactions as documents handled physically take longer to assimilate and collaborate upon. Longer cycle times create weaker chances for cross-selling and up-selling. Moreover slower process cycle times also lead to weaker bottom lines. Newgen offers a simplistic solution for Loan KYC approval over its cloud services. Loan KYC Documents are routed through different users through an automated workflow create using OmniDocs’ ingrained workflow ‘OmniProcess’. Physical KYC forms along with supporting documents are scanned and digitized using OmniScan. They are introduced into the workflow for an approval process. At the Branch level where the documents are received, a personal verifies all information and forwards the digitized documents to a Head Officer for further checks. The Head Officer then shares the same documents for other Senior officers for approval. Enterprises appreciate the need to standardize their vendor management and handling processes. Businesses generally find comfort in transacting with Vendors they have worked over a period of time. Most organizations today have created the requirement for Vendors to be empanelled before they can start working together. This empanelment entails a long drawn and document intensive process. Getting it first time right is crucial for maintaining smooth associations with Vendors and lead to effective Vendor Management. Newgen leverages its ECM on Cloud capabilities to help organization’s drive a linear and hassle free Vendor registration process. The process is kick-started by Vendors filling up a physical form for the purpose of registration. Vendors provide necessary supporting documents such as TIN Number, VAT Certificate and other relevant documents. These documents are then digitized and indexed leveraging OmniScan. Once digitized, the electronic formats of these documents are then introduced into a document centric workflow, where they undergo a process entailing verification, authentication and approval.